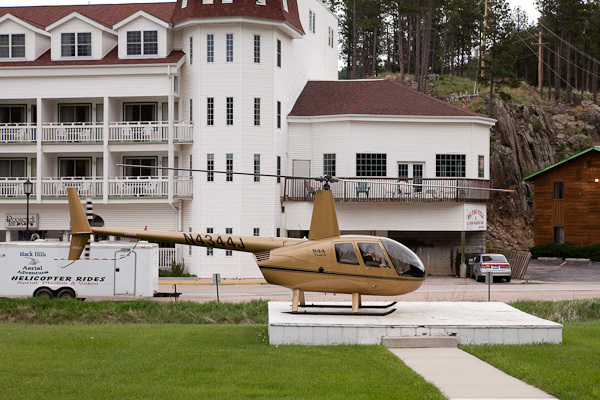 We spent two days in South Dakota! This winding road was designed by a general on riding on horseback–he purposely made it so curvy you can’t drive more than 15 to 20 miles per hour on it. And it features a few great views of Mt. Rushmore in the distance. Here is one such example of Mt. 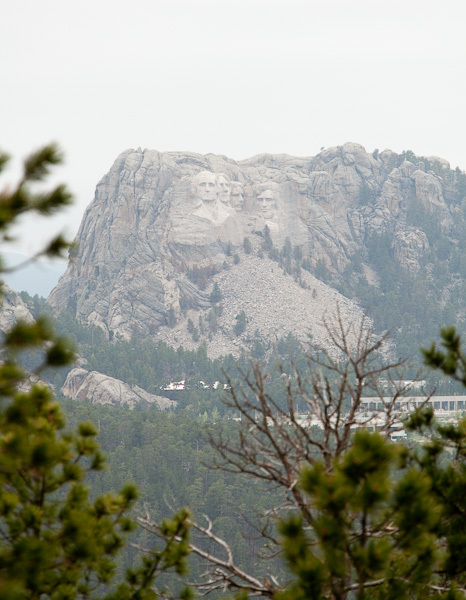 Rushmore through the trees. And this is the view of Mt. 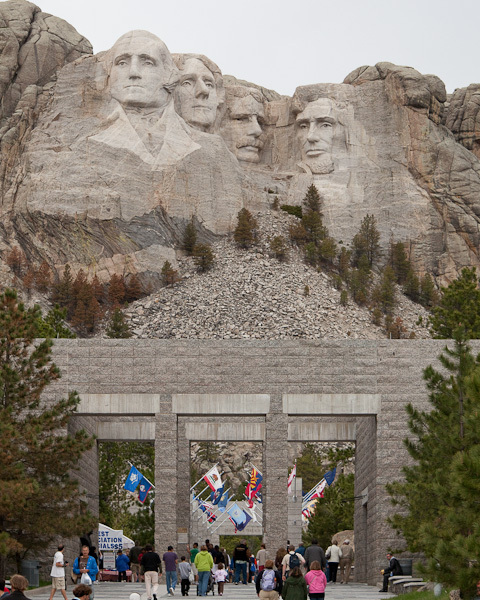 Rushmore from the entrance of the park. It’s quite lovely. And here’s a close-up of the faces! 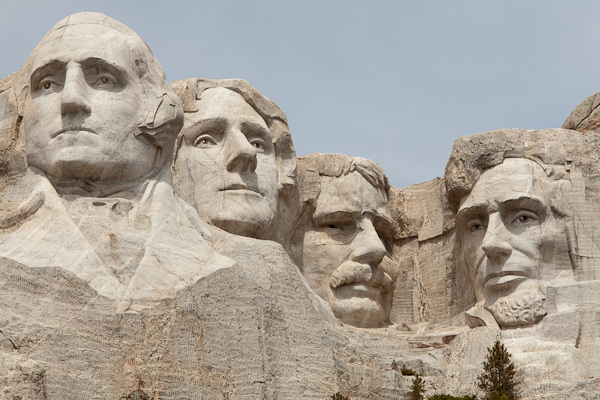 That’s George Washington, Thomas Jefferson, Teddy Roosevelt and Abraham Lincoln. 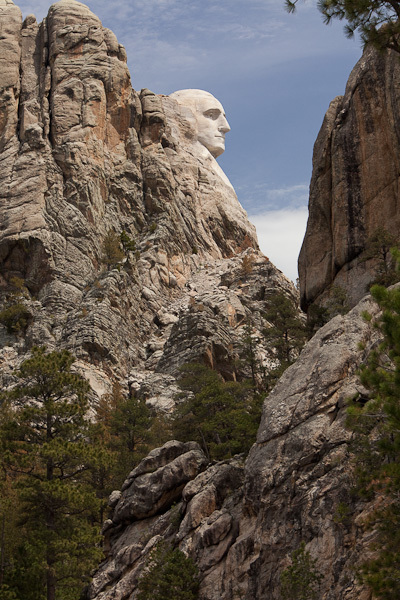 Once you leave the park, you can drive behind it and get a quick peak at George Washington from the ground. 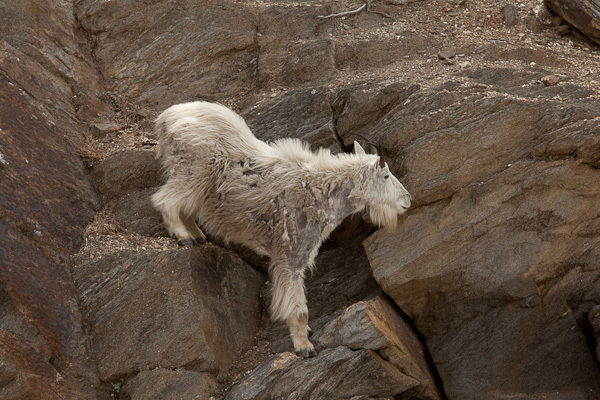 We were lucky enough to spot a mountain goat sipping running water from a rock on the backside of Mt. Rushmore. 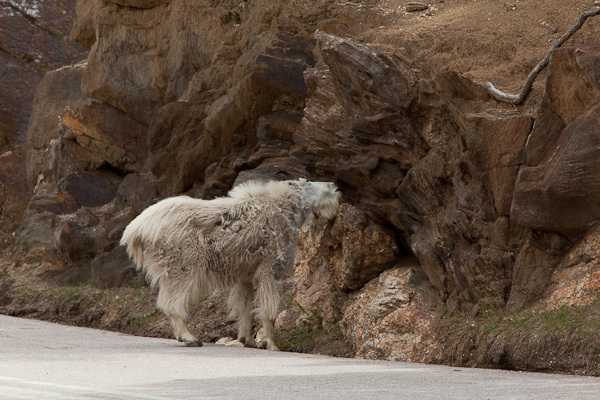 Apparently, the molting mountain goats like to hang out back there. 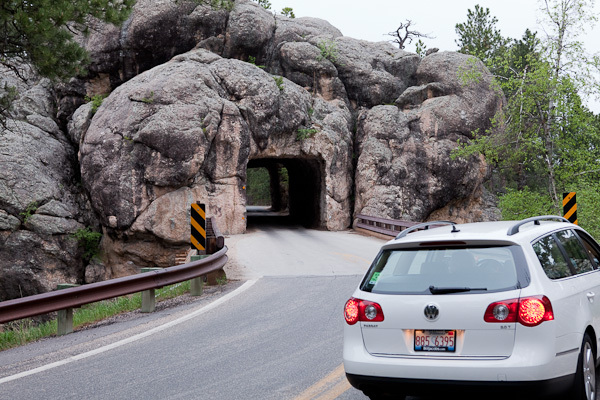 He was quite close to the road–so close that slipped right into the middle of it. Startled by his own slip into the street he stopped and looked at all us tourists looking at him but then promptly went right back to drinking. That’s our hotel! The Roosevelt Inn. 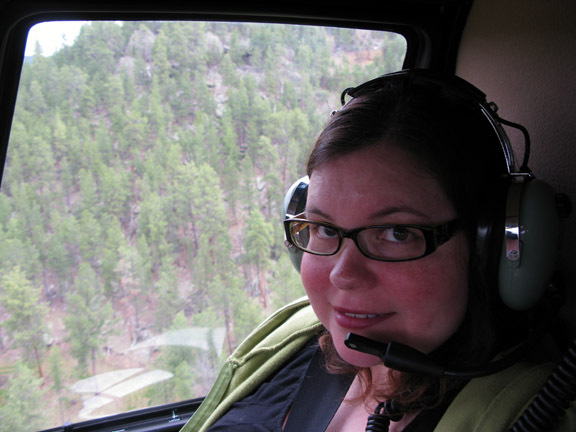 The morning after visiting Rushmore we opted to take a flight in a helicopter (our first helicopter ride) and see Mt. 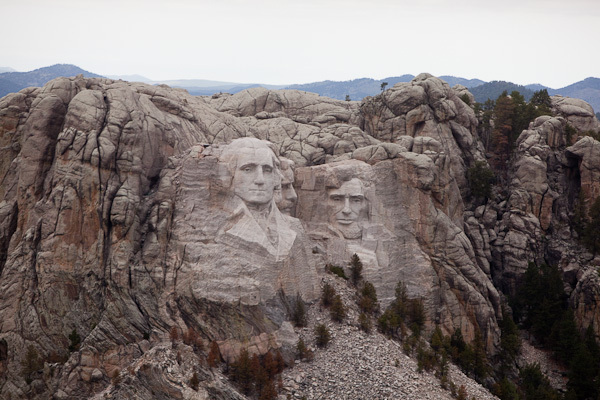 Rushmore from the air! I’m not the best with heights but I did well! And we got a great view of the entire park! 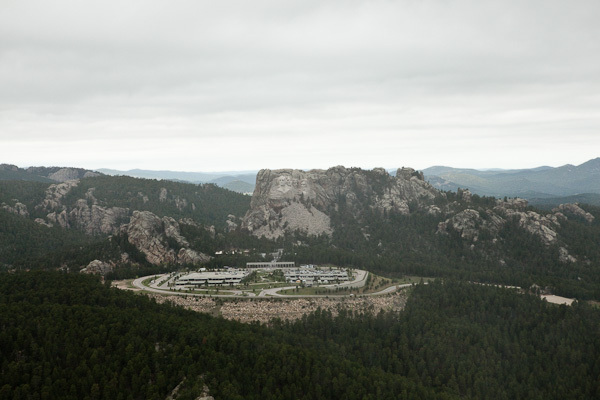 Bird’s eye view of Mt. Rushmore! 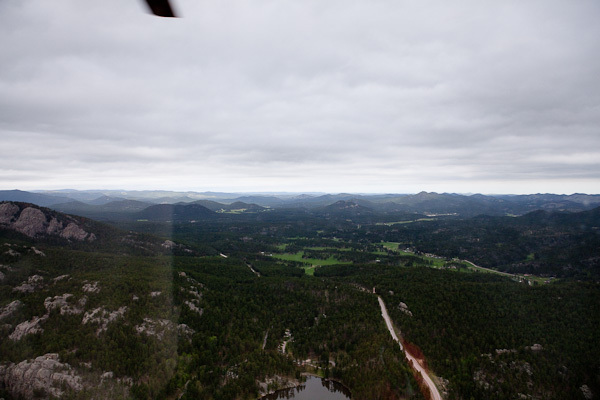 We also flew around the perimeter and saw the Black Hills. Dale sat in front because he was less squeamish than me and had a great view for photos. 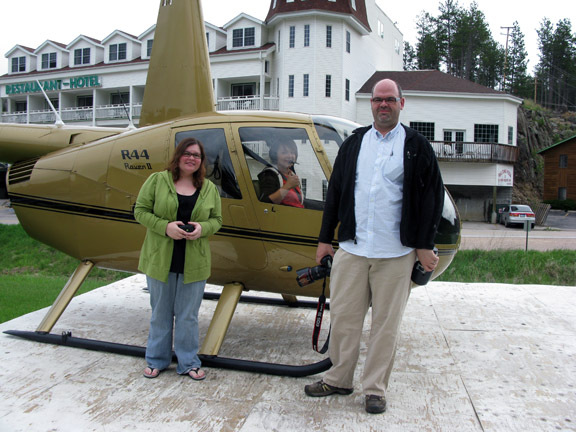 This is us in front of the helicopter. 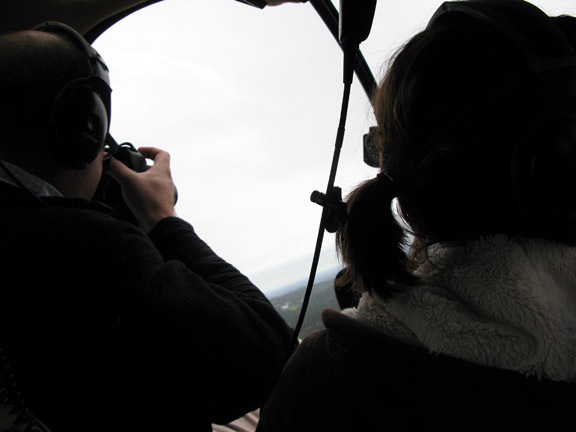 Our pilot was a 20-year-old girl. We trusted her with our lives!